Ecommerce web development has opened doors for better flexibility and convenience to buyers as they can shop online. 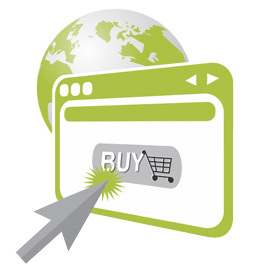 Ecommerce portals help sellers and merchants to display and offer products to customers scattered across geographies. WebsiteDesign.org.in is an ecommerce web development company which provides well designed ecommerce website applications for different businesses. Our expert developers discuss and understand the client’s requirements and deliver the right design. Our company is proud to gain the trust of numerous clients for all ecommerce web development features viz. integrating shopping cart, supporting multiple languages, providing option for different currencies, giving easy navigation, SEO friendly designs or multiple payment gateways and many more. Our team offers latest templates specially made for ecommerce websites which are dynamic and responsive in nature. We design ecommerce websites on Open Cart as well as magneto platform which is best suitable for ecommerce sites. Based in Delhi NCR, our services are not just limited to ecommerce websites but we also provide web development solutions to clients across the globe.